In Japanese American history, Chicago is known as one of the primary urban relocation areas for those who were incarcerated in American concentration camps during World War II. The earliest wave of resettlement, composed mostly of Nisei, arrived in Chicago in June of 1942, although some “voluntary resettlers” were said to have arrived as early as March of that year.1 Since then, the relocation and resettlement history of Japanese Americans has been carefully recorded and researched by scholars, writers, and journalists. However, their discussion of the last 75 years makes it seem as if the history of the Chicago Japanese started in 1942, not many decades earlier in the late 1800s, when Japanese immigrants first came to this city. Who Were the Chicago Nisei? We know quite a bit about the experiences of the West Coast Nisei: constant exposure to racial discrimination, living segregated lives in Japanese enclaves, the efforts of Issei parents to instill cultural pride in their children through Japanese language lessons. 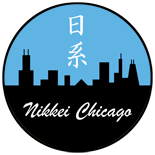 Did the Chicago Nisei have similar experiences? Using ancestry.com, I have been researching the Illinois Japanese population by collecting information about individuals and families from census data released between 1900 and 1940. Although few accounts of the lives of Chicago Nisei have surfaced to date, I have discovered, through my census research, several characteristics unique to the prewar Chicago Nisei—characteristics not commonly seen in Japanese communities on the West Coast. One of the most interesting was the presence of mixed-blood Nisei during the first 30 years of this period. Another was the role the Nisei played in creating a sense of ethnic community in Chicago, where the Japanese population was too small to create a significant enclave like Los Angeles’ Little Tokyo or San Francisco’s Japantown. I attribute the presence of mixed-blood Nisei to two factors. First, single Japanese women were very scarce in Chicago in those days.7 Second, Illinois did not have miscegenation laws that prevented marriages between whites and Japanese—unlike California, which banned interracial marriages until 1948. 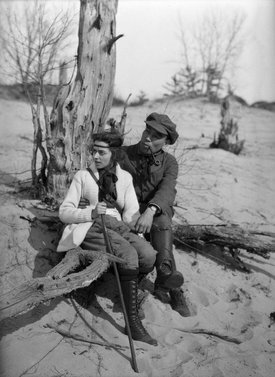 Therefore, the early Chicago Japanese, who were not bound by the “peer pressure” of their ethnic community, were free to enter into interracial relationships. According to my research, there were 74 (59 male and 15 female) Japanese living in Chicago in 1900.15 Living outside of Chicago were 11 single men, none of them engaged in agriculture, unlike in California. Out of 14 married men, four of them had white wives. 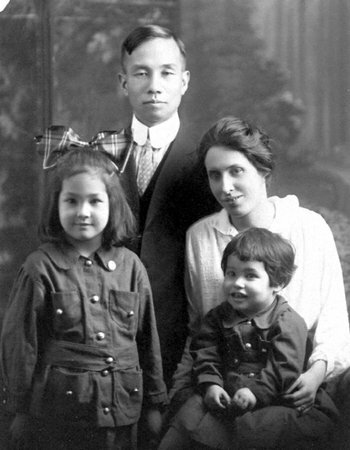 Charles Bane, a 36-year-old Japanese storekeeper in Chicago, had married a German immigrant woman named Christin in Kankakee in 189416 and had two mixed-blood sons, Fred and Charles, both born in Illinois.17 In total, there were eight Nisei (five boys and three girls) under the age of 18 in 1900; three of the boys and all the girls were born in Illinois. How did Chicagoans look at interracial marriages between Japanese men and white women before the turn of the century? Some newspaper articles hinted at a positive attitude. 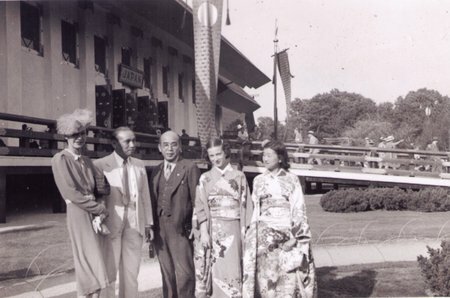 For example, a Chicago Daily News reporter interviewed two white women who had Japanese husbands.18 The interviewees were Caroline, a Southern belle who was married to the famous chemist Jokichi Takamine, and Illinois native Dora, wife to Harry Kenichi Tetsuka. The Takamines and their two mixed-blood sons came to Chicago from Japan in 1890 to start a distilling business. Tetsuka, who came to the United States in 1885, was listed as having an import business, Tetsuka H.K. & Co. (185 State),19 in Chicago after the 1893 Exposition. 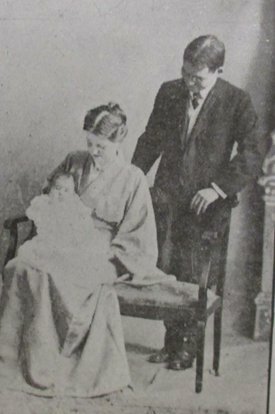 In a newspaper article published in Indiana, Clara Ongawa, an Iowa native who married her husband Michitaro in Austin, Illinois, in 1891, also confirmed Takamine’s claim that Japanese men make excellent husbands for American girls.20 In such an open-minded atmosphere, interracial marriages involving Japanese men, as well as births of mixed-blood children, increased steadily until the 1920s. There were 247 Japanese (209 male and 38 female) living in Chicago in 1910, while the total number of Japanese in Illinois was 288 (249 males and 39 females).21 Exactly half of the 54 married Japanese men in the state chose wives of a different race: two had black/mulatto wives and 25 had white wives. As a consequence, out of 24 Nisei under 18 (10 boys and 14 girls),22 11 (six boys and five girls) were of mixed blood. As a result of escalating anti-Japanese discrimination on the West Coast in the early 20th century, Chicago saw a new influx of young adult Nisei who had been born in other areas such as Hawaii, Utah, California, and Arkansas. The demographics of Japanese Chicago began to change as a result of social and generational shifts. The Japanese population in Illinois grew to 471 (368 males, 103 females) in 1920.30 There were 422 Japanese (330 males, 92 females) living in Chicago, and there appeared to be some single women working outside Chicago. The percentage of interracial marriages decreased somewhat: out of 92 married Japanese men, 29 had white wives and one had a black wife. The percentage of mixed-blood Nisei, on the other hand, increased: they numbered 40 (13 boys and 27 girls), making up nearly 49 percent of the 82 Nisei under age 18. The Japanese population in Chicago reached 515 (369 males, 146 females) in 1930.31 The 1930 Census saw the first appearance of “intra-racial” marriages between Japanese Issei and Nisei from other areas, and the number has steadily increased since then. Out of 584 Japanese residents in Illinois, the biggest group was children under 18, who numbered 149 (65 boys and 84 girls); 37 percent of these (19 boys and 37 girls) were of mixed blood. The number of mixed-blood Nisei started to decline while the number of “pure Japanese” children rose with the number of Nisei marriages. With more young adult Nisei in Chicago, a new sense of community consciousness seemed to emerge. One indicator of this was the opening of Japanese language schools, with the goal of fostering a lasting sense of Japanese ethnic identity over generations. 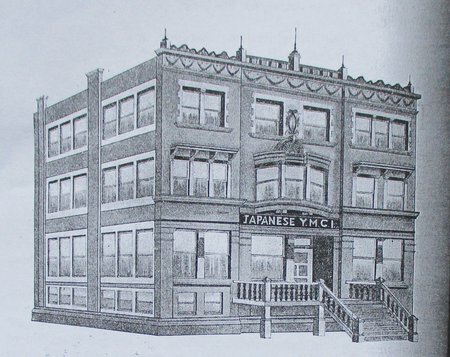 The building on West Oak Street also housed the Japanese Mutual Aid Society of Chicago, JYMCI, Japanese Christian Church, Japanese Ladies’ Association, and the branch office of the San Francisco Nichibei (Japanese American News).47 The birth and growth of the Nisei Club with Nisei leadership had finally enabled the creation of a kind of “Little Tokyo” for Japanese residents of Chicago. The prewar Chicago Japanese might be a good example of how the size of a population, in tandem with its social distance from mainstream society, can inform the character of a minority community, which in this case deviated from what we might expect of typical, traditional Japanese communities in the US. As such, this community should be noted and remembered as a unique, atypical group of Japanese Americans who had the wisdom to survive in the particular atmosphere of Chicago, an atmosphere in which, according to resettler Setsuko Nishi, “negligent indifference and ignorance, if not acceptance, not prejudice and discrimination”54 prevailed. 1. Encyclopedia of Japanese American History, updated edition, page 62. 2. Chicago Tribune, May 16, 1877. 3. The 1880 Illinois Census recorded three Japanese (two in Chicago). The 1890 Census reported 14 Japanese (none in Chicago). 4. George Kaneko birth certificate, via ancestry.com. 5. Chicago Tribune, June 7, 1896. 7. The 1900 Illinois Census recorded 15 females in Chicago: two married and 13 single. Eight single women were suspected to be prostitutes as they lived at 2026 Armour Avenue in the “red light” district. 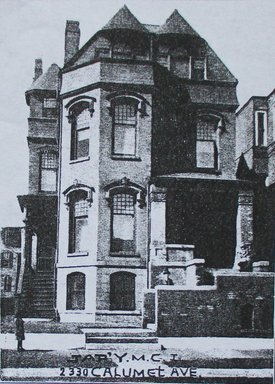 In July 1908, five Japanese prostitutes were arrested in this house (Chicago Tribune, July 17, 1908). 8. Chicago Tribune, January 1, 1887. 9. 1930 New York Census. 10. Certificate No. R-80 P125 Alien, Japanese American Commercial Weekly, December 6, 1902. 13. 1920 New York Census. 14. 1910 and 1920 Illinois Censuses. 15. The 1910 Illinois Census recorded 80 in total and 68 in Chicago. Author’s research found 85 Japanese in Illinois. 16. Chicago Tribune, October 11, 1894. 18. Chicago Daily News, November 27, 1895. 19. 1895 Chicago City Directory. 20. The Star Press, June 2, 1911. 21. The 1910 Illinois Census recorded 285 Japanese in total, with 233 living in Chicago. 23. Evansville Press, June 13, 1907. 24. Ohi was sent first to New York City in 1906 to study the iron industry but requested that the Japanese government transfer him to Chicago. 6-1-7-18 Diplomatic Archives of the Ministry of Foreign Affairs of Japan, Tokyo. 25. Greg Robinson, The Great Unknown, page 31. 26. Chicago Tribune, December 21, 1983. 27. Nichibei Jiho, May 27, 1922. 28. Nishimura, 1920 Illinois Census. 29. Barrett, 1920 Illinois Census. 30. The 1920 Illinois Census recorded 472 Japanese in total. 31. The 1930 Illinois Census recorded 564 Japanese in total. According to the author’s research, 584 Japanese lived in Illinois—419 male and 165 female. Japanese living outside Chicago totaled 69: 50 male and 19 female. 32. Nichibei Jiho, September 2, 1931. 33. Nichibei Jiho, October 17, 1931. 34. Survey on Japanese language schools, December 1934, from Kenji Nakauchi, consul in Chicago to Japanese foreign ministry. 35. Nichibei Jiho, January 6, 1932. 36. Nichibei Jiho, April 24, 1937. 37. Yamagata’s letter to Cashman, June 30, 1937, YMCA of Metropolitan Chicago Collection, Chicago History Museum. 38. Japanese Mutual Aid of Chicago 1934–1977, leaflet from the collection of the Japanese American Service Committee Legacy Center, Chicago, page 3. 39. Nichibei Jiho, March 21, 1936. 40. Nichibei Jiho, May 21, 1938. 41. Nichibei Jiho, December 10, 1938. 42. Nichibei Jiho, April 27, 1940. 43. A Nisei lawyer from Oregon, Minoru Yasui, who came to Chicago in 1939, was the scoutmaster. Robinson, The Great Unknown, page 32. 44. Nichibei Jiho, March 22, 1941. 45. Nichibei Jiho, April 26, May 3, May 24, June 7, 1941. 46. Nichibei Jiho, July 5, 1941. 47. The Japanese American Directory 1941, page 659. 48. Japanese Mutual Aid of Chicago 1934–1977, leaflet from the collection of the Japanese American Service Committee Legacy Center, Chicago, page 3. 49. Indefinite Leaves-Departures by Center, Monthly Report/1 No.47, May 31, 1944, War Relocation Authority, Japanese American Relocation Collection, Box 5, Brethren Historical Library and Archives. 50. Relocation of Japanese Americans in Chicago, Chicago War Relocation Authority, 1945, page 1, Japanese American Relocation Collection, Box 5, Brethren Historical Library and Archives. 51. Setsuko Matsunaga Nishi, Japanese American Achievement in Chicago: A Cultural Response to Degradation, PhD dissertation, University of Chicago, 1963, page 73. This entry was posted on April 2, 2018 by R Y in Community, Family, Issei, Martial Arts, Neighborhood, Nisei, Performing Arts, Politics, Prewar, Religion, Resettlers, World War II and tagged Alexander Hayes, Aloha Baseball Team, Asajiro Kaneko, Caroline Takamine, Catherine Tanaka, Charles Bane, Christin Bane, Clara Ongawa, Clarke Kawakami, Ding Seid, Dora Tetsuka, Elvira Okura, Fred Bane, Ganjiro, George Kaneko, George Okura, Germania Club, Harry Kenichi Tetsuka, Haruka Frank Chino, Hawaiian Students Club, Ichiske Ohikawa, Isamu Tashiro, Japanese American News, Japanese Christian Church, Japanese Ladies' Association, Japanese Mutual Aid Society of Chicago, Japanese Young Men's Christian Institute, Jokichi Takamine, Joseph Tanaka, Joseph Yoshimote, Kathrine Oshikawa, Katie Hicks Ohi, Keneko Kinzo, Kiyoshi Franklin Chino, Kiyoshi Karl Kawakami, Kuma Elizabeth Ohi, Lilian Kinzo, Mandi Seid, Mercelia Hicks Chino, Meta Okura, Michitaro Ongawa, Mildred Clarke Kawakami, Misaki Shimadzu, Moody Bible Institute, Nichibei Shimbun, Nisei Club, Pearl Harbor, Richard Seid, Sadie Yoshimote, Sesshu Hayakawa, Setsuko Nishi, Sidney Tokichi Ohi, Tsuru Hayakawa, World's Columbian Exposition, Yae, Yuri Kawakami.